Percolators move boiling water through coffee grounds to produce a rich, full bodied coffee brew. The grind and amount of coffee used for a percolator differs from drip or French press coffee makers. 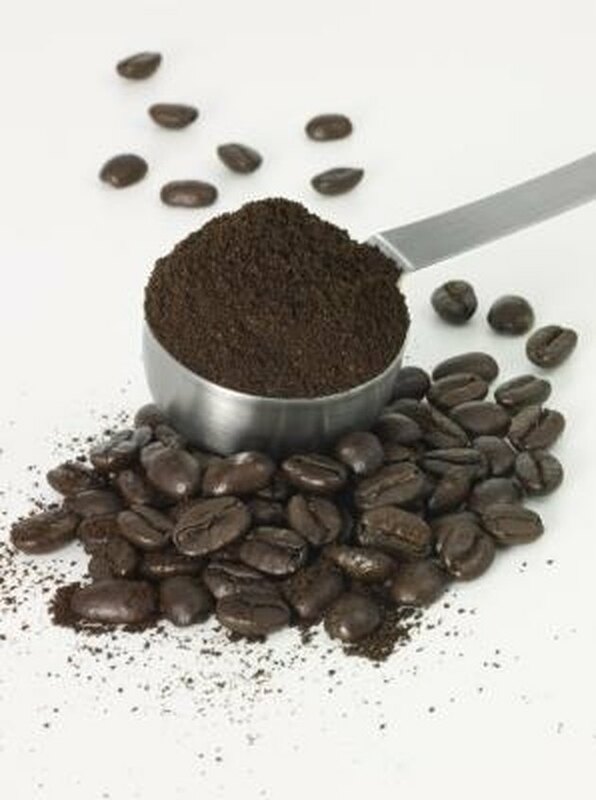 Increasing or decreasing the amount of coffee grounds will have change the strength of the finished coffee. You must use a standard coffee-measuring spoon which equals 2 tbsp. for determining the amount of ground coffee to use. Changing the amount of coffee used in a percolator will change the strength of the coffee. Grind your coffee beans to a coarse or French-press grind. The grounds should be larger than sugar or sand particles. Divide the amount of water you will put into the percolator by five to determine the number of 5 oz. servings. For instance, if your percolator holds 50 oz. of coffee, you will make 10 servings. Determine the desired strength -- light, medium or dark. Use half of a standard coffee measure per cup for light, three-quarters for medium and a whole standard coffee measure for each cup of strong. For the example, if you want to make 10 cups of medium-strength coffee: 10 x 3/4 = 7 1/2 standard coffee measures. Add the coffee grounds directly to the percolator basket or put them into a percolator filter before putting the filter into the basket. Brew the coffee in your percolator according to the directions for the machine.